Lacking ideas on what to present to the ones you love for coming holidays? Seems you have made all possible gifts? It’s time to try something new and original – to make a video greeting card. 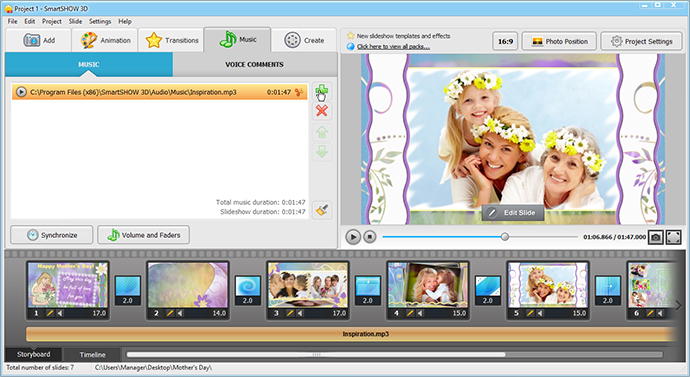 Put it into practice with SmartSHOW 3D software, one of the best video presentation creators. This application is packed with a large number of special effects and design templates that give you nearly unbounded possibilities in making gifts for your loved ones. Get creative and prepare an exclusive present for a birthday, wedding day, Christmas and any other event or just a memorable day. Want to see what piece of art you can create for Mother’s Day? Click Play and enjoy watching dramatic 3D effects, touching tunes and kind words compiled in a video holiday card for the one you love the most. Read on this guide and learn how to make a video greeting card in 3 simple steps. Creating a presentation is not going to be difficult or unduly time consuming – it takes just a little learning and plenty of enthusiasm. 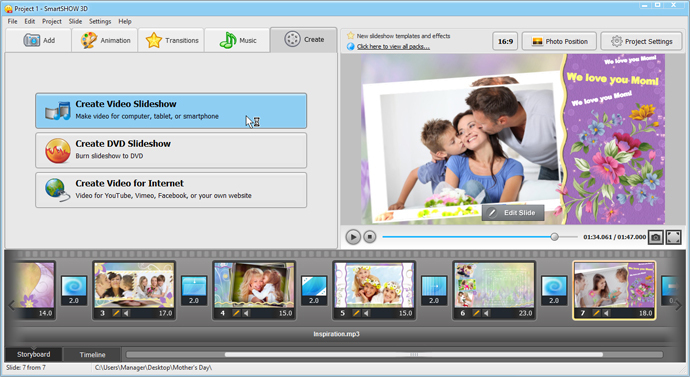 Create a new project in SmartSHOW 3D and add your pictures to the Storyboard. Take a proper look at the photo set and if you are not satisfied with what you see, improve the view – crop a photo, stretch it, change the order of slides, delete or replace any. Is it good now? Let’s animate it! SmartSHOW 3D has an extensive library of special effects and transitions to turn your presentation into a vivid video greeting card. Apply them to your photos and click the Play button to preview the slide. Choose the most suitable effect. You can extend the 3D effects collection and get design templates for Father’s Day, Happy New Year, wedding day and many other holidays we are used to celebrating. What makes a good video holiday card even better? No doubt, it’s the sound effects. Apply some music that suits your presentation the most. You surely have that very tune in your music collection. Just in case you don’t SmartSHOW 3D offers you a built-in playlist of different soundtracks. Besides, feel free to record your voice comments, it can be really touching and sweet for the one you congratulate. 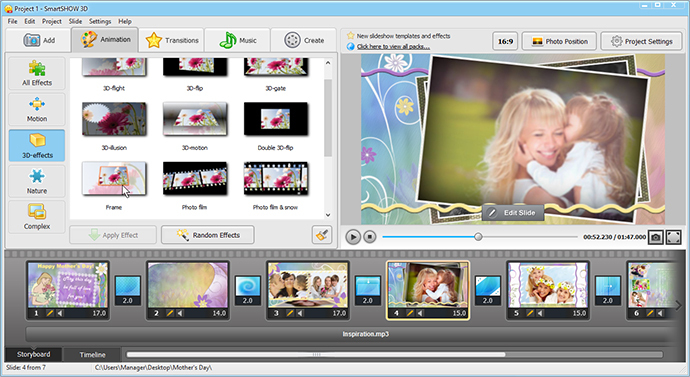 By now you have learnt how to make a video greeting card and there is the only thing to do left – push the Create Video Slideshow button. Choose the video format you need (for a computer, TV set or smartphone), let it start and within a few minutes you will get the result. Burn the presentation to DVD or save it to a memory stick, put it into some gift box and let it bring joy to that very person. 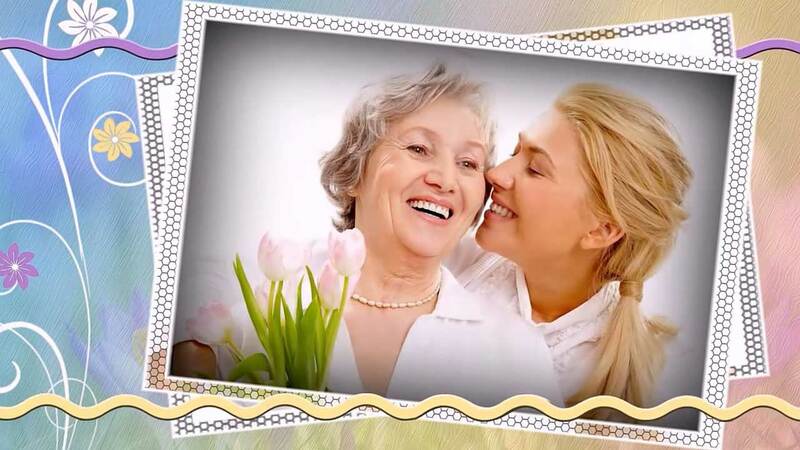 Create your exclusive video postcards with SmartSHOW 3D and your unforgettable gifts will please your loved ones, will never bland and will remind of you for ages!